It was very good. Great entertainment. With the excellent sound effects and multiple actors, you could easily feel you were there with them. Voice talent was awesome. What made the experience of listening to To-Do List Formula the most enjoyable? 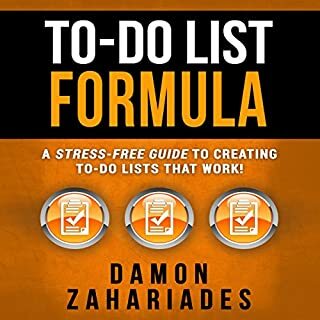 Damon goes through the many methodologies of making and managing todo lists. Most have their merits and their downsides. He helps you put a solution together from all the various practices that is based on how you work or prefer to work. Excellent. I am only a third of the way through and felt compelled to tell you that this is a great book, at least so far. I can't see it getting worse, just better and better. 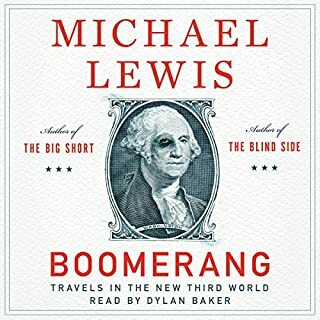 His sense of humour is perfect and his candour is sometimes cringing when you imagine yourself listening to Michael Lewis' opinion about you. He pulls no punches and I wouldn't put it past countries to ban him or set people out to get him. I follow the news, and the news around the European debacle fairly closely, but you don't get this deep via the news. It is amazing how these countries operated. They seem like kids in a candy store. I am a quarter Icelandic and he sure trashes us. Then the Irish and...look out Greeks! I don't think any country will come out looking good. Even the Germans, who are the supposed saviours of this crisis (Greek vote is tomorrow! ), get trashed by him. Nicely, convincingly, but still trashed. Loving it. It's his life, the good and the bad! This is an excellent autobiography. 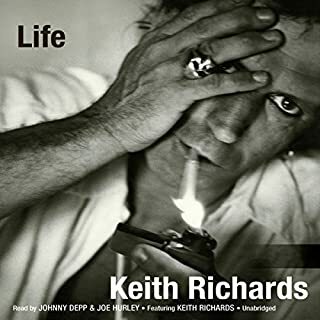 It's read perfectly and appropriately by Joe Hurley and Johhny Depp, who aim to sound like Keith might, and a little bit of Keith. He sounds drunk when reading, but I bet he sounds like that sober or not. He shares a lot about his ups and downs and comes across as very honest. It was interesting to hear about song-writing with Mic and about the times when they seemed to be finished together. Keith comes across as larger than I thought he was for the band. He is the John Lennon. Some people have commented to me about the time he spends on guitar playing and riffs, but I found that interesting even though I can't play a note. This book is much, much better than I expected and I hope he writes another. What does Joseph Grenny bring to the story that you wouldn’t experience if you just read the book? His emphasis and enthusiasm was perfect. He has a great voice for audiobooks. This is the book you need if you seriously want to make change. It has an accompanying website that helps you follow through and provides a coach and email notifications. It is free for 90 days after using the code in the book. I am on my second read and am able to skip some parts quite easily. I am now taking notes too, as I found there is too much to recall when making your change plan if you didn't take notes. The website helps a lot there. I was pleasantly surprised by this one. 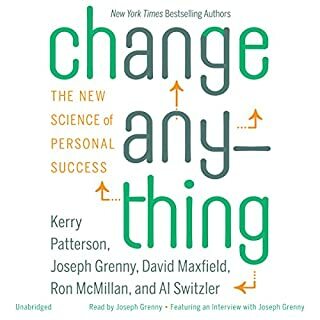 I have read hundreds of self-help books, always trying to change something or grow, and this one is among the most practical and, I believe, likely the most effective. It's all based on research that is current and historical. Thanks for this great book. 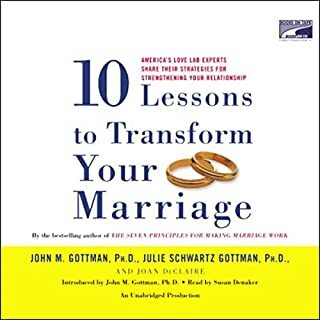 This book changed the way I speak to my wife, particularly when the conversation is argumentative, merely after hearing the first recorded and analyzed conversation in the book. The biggest thing for me was defensiveness and I saw it right away in the dialogue that they present in the book. They use recorded transcripts of real couples talking (voiced by the narrator) and then analyze the back-and-forth relatively quickly. You can see yourself, if you're like me, in many of the conversations. It truly helped, but it would be best if the authors were with me as I conversed (argued) with my wife, as I worry that I will fall back into old habits as I often do after reading great advice like this. I need her to read it too. The Executive Board of an exclusive men's club meets to talk about 9/11 and finalize a retaliation plan, known by a code name: Wild Fire. That weekend, a member of the Federal Anti-Terrorist Task Force is found dead. 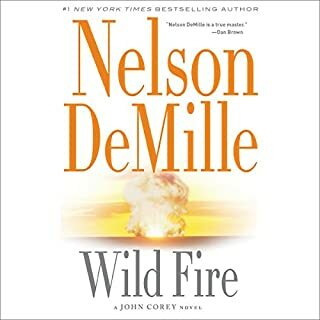 It's up to Detective John Corey and his wife, FBI Agent Kate Mayfield, to unravel a terrifying plot that starts with the Custer Hill Club and ends with American cities locked in the crosshairs of a nuclear device. 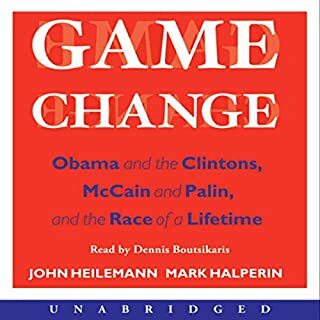 Based on hundreds of interviews with the people who lived the story, Game Change is a reportorial tour de force that reads like a fast-paced novel. Character driven and dialogue rich, replete with extravagantly detailed scenes, this is the occasion-ally shocking, often hilarious, ultimately definitive account of the campaign of a lifetime. I really enjoyed this book, even though I am from Canada. Being so ensconced in US media...television, movies, etc., and being the US's largest trading partner, it is very difficult not to pay attention to US politics. Obama mania was big here. I found it very interesting to hear about the battles and thoughts of all of the combatants in this most interesting election. They cover them all from Palin to Edwards, spending most time with Hillary, Bill and Obama. John McCain was not what I expected. The writing and entertainment value are first rate in this little snippit of exciting US history. 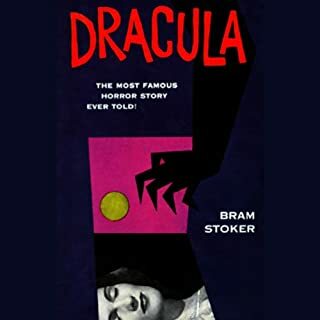 In 1897, at the age of 50, Bram Stoker was touring manager to the actor Henry Irving and was enjoying a modest success as a journalist and writer. Publication in that year of Dracula was to bring him international and lasting fame. I find listening to non-fiction much easier than to fiction. The opposite is true for reading the printed book. This is one of the first fiction novels that I had trouble stopping listening. 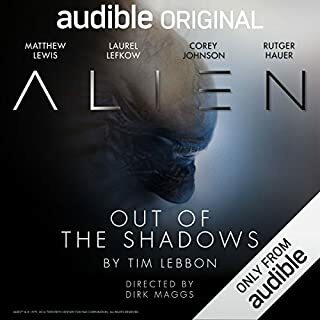 I have at least 15 fiction audiobooks in the works and this one kept me on it from start to finish. It doesn't read like I thought given it's age. It reads as if written recently, although with interesting bits of old-english and vernacular. This is the novel that sparked the whole vampire thing. It didn't invent it, but brought it into the contemporary culture. I think these last few years have seen more vampire fiction than at any time before, so I recommend to all of you vampire enthusiasts that you listen to this one. While I loved the movie and saw it many years before listening to the book, the two are quite different at times and I found that I developed my own characters and hardly based them on the movie's. It is not horrific and not very scary. I found the movie much scarier but that is likely due to Gary Oldman's amazing performance...the best Dracula ever. The narrator does an amazing job with the various characters. I did get a couple of the men mixed up over time, but it had little impact on the main story. I couldn't help but have Tom Waits as Renfield as I listened. Funny, as much as I loved Gary Oldman in the movie, he wasn't my Dracula as I listened. Excellent listen. Great work Mr. Whitfield. And Bram too. I enjoyed this book and was sad that it was over after so many hours of accompanying me on my walks and cross-country skiing. I had heard some of the arguments before, but to hear them all together and with science and stories to back them, it becomes very engaging. His voice is very easy to listen to and very soothing. He speaks too quickly the odd time, in areas that I am sure he thinks are not as important. Watched him on Charlie Rose just last night and found him to be very honest and forthright. He is known for taking the opposing position on a lot of common topics, but when he explains, you see that he is not doing it for publicity (or purely for), but provides very compelling and evocative counter views. He has cancer of the esophagus and I wish him well. His cancer has changed the way he looks at things, so I look forward to his next book. 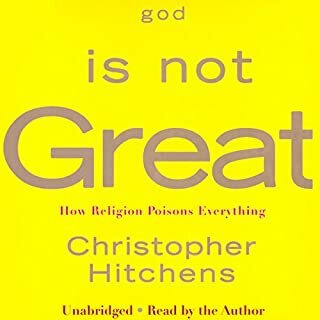 Everyone, religious or otherwise, should listen to his discussion in this book.